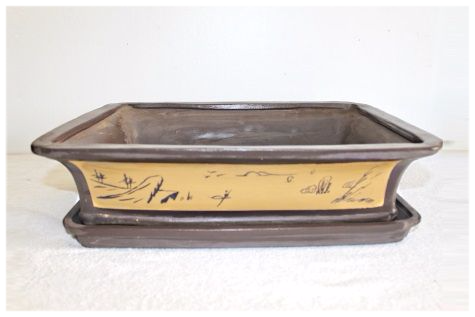 This bonsai pot has a rectangular shape with a motif on both sides. 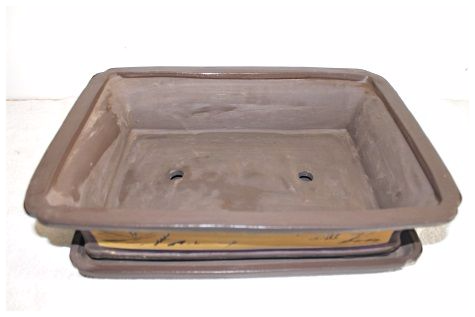 It has an unglazed brown finish with two drainage holes and comes complete with a saucer (drip tray). The pot is suitable for bonsai with a maximum height of 55-65cm. You will earn 36 points which is the equivalent of €3.60 when ordering this product.